I think it's been months since I made cookies. I've been doing more breads and muffins and thought it was time to make some cookies. Okay, I'm lying ... The kids wouldn't take their naps, so I bribed them with cookies. Don't judge me, it worked! They were down for 3 hours, so even though I had to make cookies, I had plenty more time for myself and I got to enjoy a cookie too! 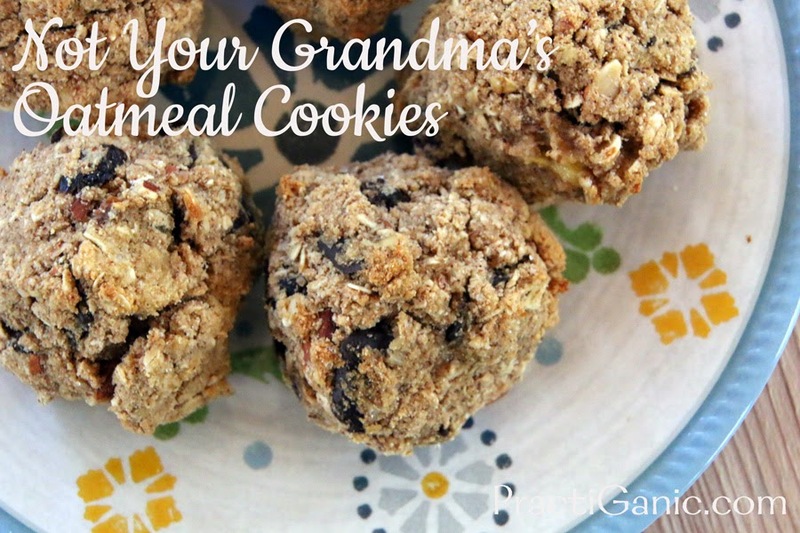 I went to my cookie recipes and found my go-to oatmeal cookie recipe. What ... 2 sticks of butter and 2 cups of sugar for 2 dozen cookies! Okay, time to change the recipe. I began dissecting and changing my old recipe to be a little more healthy while not going overboard so it would still stay a cookie. I love the way they turned out. They are still really chewy and moist and the extra flavor of the banana and honey made them better than the originals! Beat brown sugar, banana, honey, egg and vanilla until banana is mashed and the sugar is well mixed. Add in your oats, flour, salt, baking soda and cinnamon and mix until the ingredients are all well incorporated. Mix in raisins, nuts and chocolate. 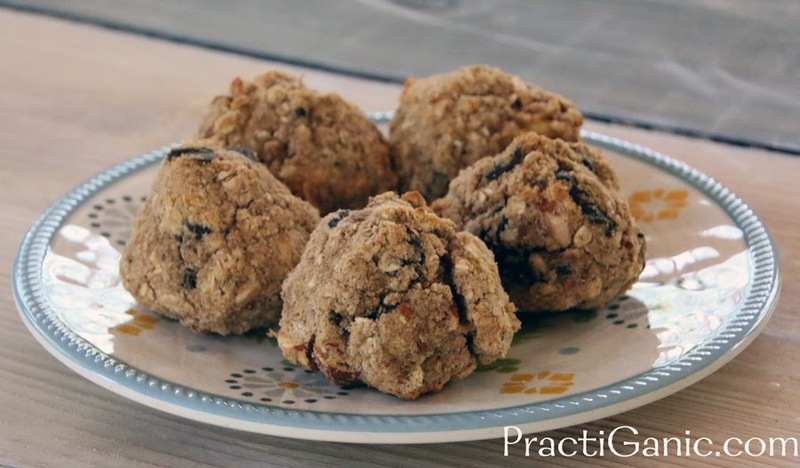 Roll into 1 inch balls and spread on a baking sheet. Bake for 10 minutes on an ungreased baking pan. Let cook for 5-10 minutes on a wire rack. Because these cookies don't have fat from butter or oil, they will stay as a ball and not spread out.